Home > Projects > Projects - FAQs > How is an Archived Project Different from an Active project? Archived Projects are removed from menus and drop-downs. 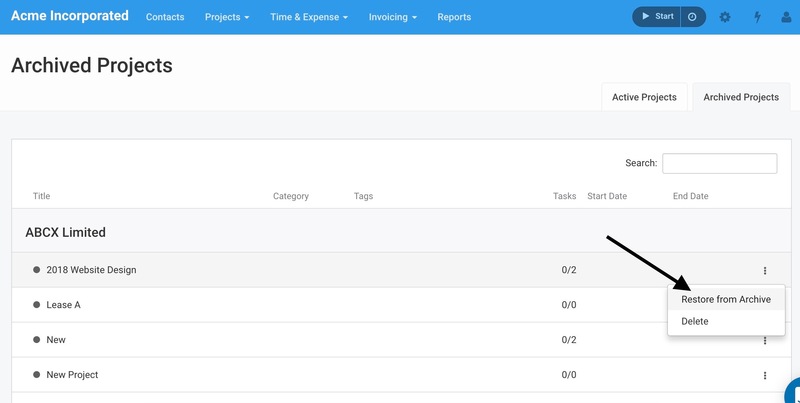 You will not be able to work on tasks from Archived Projects or track time and expenses, but you can still create invoices if there are uninvoiced amounts left and run reports on them. You can always restore an Archived Project to the Active Projects view if you need to access the task-level details. Need more help? Read our Getting Started with Projects guide, or contact support via chat or email.